Just a quick update on our event last Monday evening . . .
Feral Fixers had the opportunity to have a booth at the showing of the film "Kedi" by the After Hours Film Society (AHFS) at the Tivoli Theater in Downers Grove on Monday evening, 4/24. Many thanks to Phyllis Betenia, adopter of our Darby, and Debbie Vanezia, AHFS Executive Director, for inviting us. 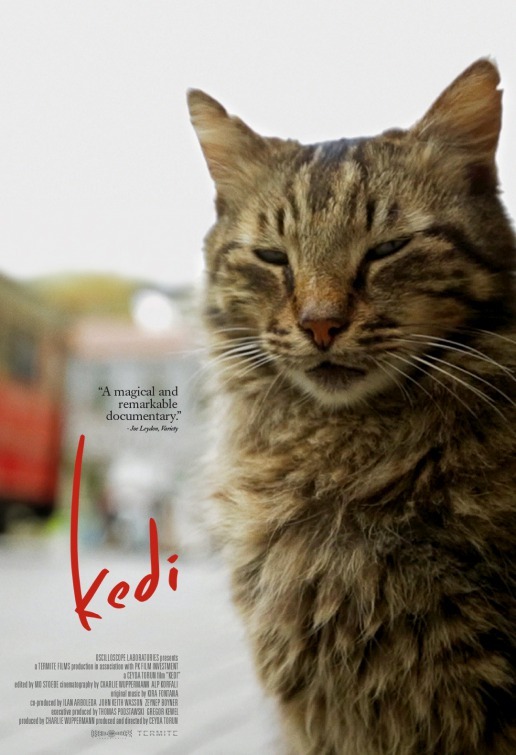 The film was very well done, showcasing the many cats that roam the streets of Istanbul and choose their human companions. Cat Guardians and West Suburban Humane Society also had booths at the event. The theater was full and there was a lot of good foot traffic and support from some wonderful cat lovers, including friends from other rescues and shelters. We raffled off a gift basket of cat supplies and a cat carrier and sold some cat toys and magnets. Fiona was a hit, as she greeted our guests in her party hat, compliments of Debbie. We featured our board and binder of adoptable cats & kittens (thanks Debbie and Mike), and advertised our upcoming Kitten Shower. Tammy, Candy, Debbie, Lauren and I staffed the booth, while Marjorie, Sara and Jillian were our unofficial "groupies". Special thanks to Candy and Debbie for helping with the set-up and clean-up, and to Candy for taking some photos. Thanks also to Connie & Ted for advertising. It was a fun evening! The Tivoli has scheduled a series of Wednesday morning movies this summer. They will be showing "The Secret Life of Pets" on 6/28. They invited us to participate, so please stayed tuned for more information. See you all at the Kitten Shower on Sunday, 4/30, 12-4pm, at the Villa Park VFW Hall, 39 E. St. Charles Rd. in Villa Park!